California-based photographer Rosemary Sheel specialises in photographs and stories from far-away places. 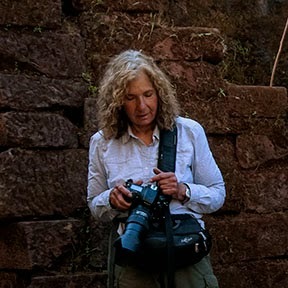 She travelled through Uzbekistan and Kyrgyzstan with Uzbek Journeys in 2012. In this piece she weaves a pictorial story of ikat silk production. Do take a moment to view her wondrous images of Uzbekistan and Kyrgyzstan. If you have been to Central Asia her photographs will evoke memories of your journey. And if you are travelling there soon you will be inspired by her work. Silk production in Uzbekistan has been practiced for a thousand years. 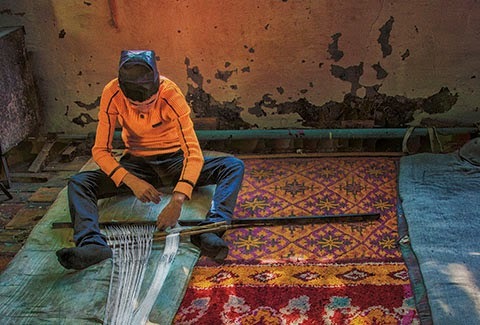 Today, Uzbekistan is the world’s third largest silk producer, behind China and India. Its silk centre is the fertile Ferghana Valley in eastern Uzbekistan. It all begins with the tiny but voracious silk worms which grow to 70 times their original size on their diet of mulberry leaves. When the silkworm larvae are received (a box of 30 to 40 grams of larvae) into the homes where silk worm raising is mandated by the Uzbek government, the worms in the box eat about 2 kilograms of mulberry leaves per day. At their peak, the worms are eating 270 kilograms of fresh mulberry leaves per day. The worms must be fed around the clock with one person in the family awake 24/7. The worms start to die if the feeding is even 45 minutes late. The silkworms spin their cocoons when they are about a month old. Each cocoon is formed of a single thread about a kilometer long. The cocoons are boiled to release the filaments. The filaments are scooped from the boiling cocoons with a stick. About six filaments are twisted into one thread. The silk filaments are then wound onto spindles. 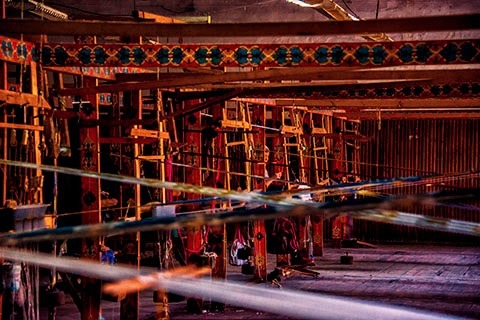 The silk threads are bundled and knotted in preparation for the dyeing process that will produce Uzbekistan's famed ikat design. 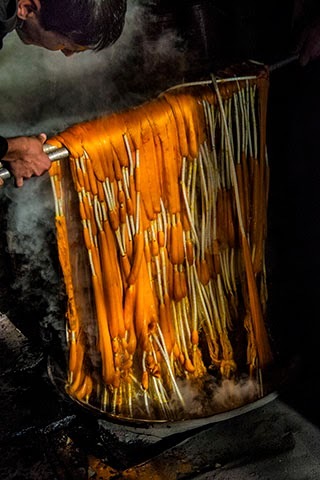 Then comes the dyeing process: dye is dissolved in a cauldron over a wood fire. 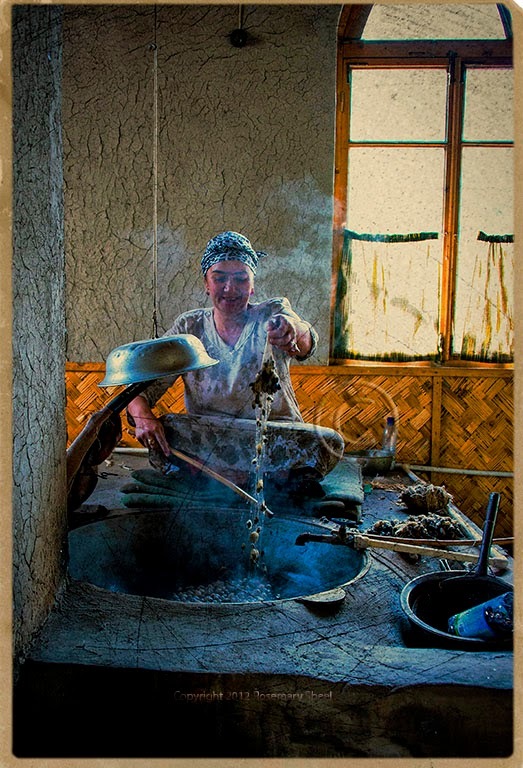 When the dyer is satisfied the dye has dissolved completely, he and a helper dip the rack of knotted silk into the cauldron, raising it now and then to check the depth of the color. 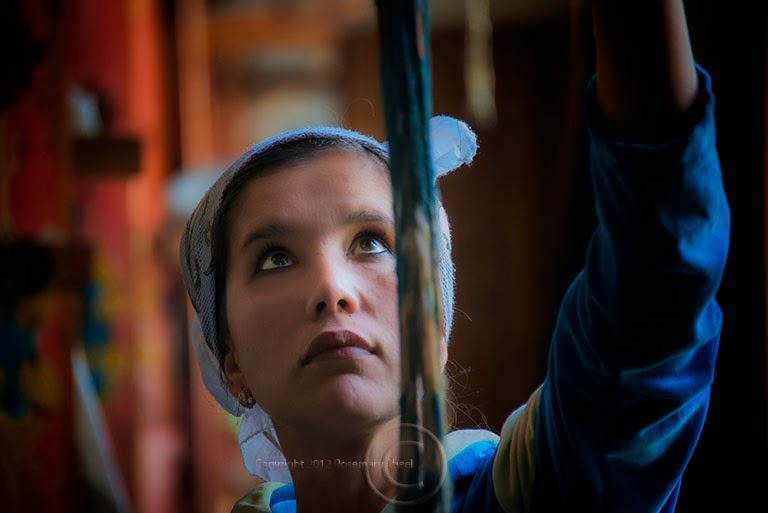 Dyes at factories such as Yodgorlik in Margilan use natural dyes like madder root, cochineal and indigo. The dyed silk is threaded onto looms and woven into narrow strips of silk fabric to be made into filmy scarves or more substantial fabrics to be used in the home or for clothing. Most ikat is between 35 - 50 cmd wide. The silk fibers, unwoven, can be sent to rug weavers who knot it into fanciful carpets. 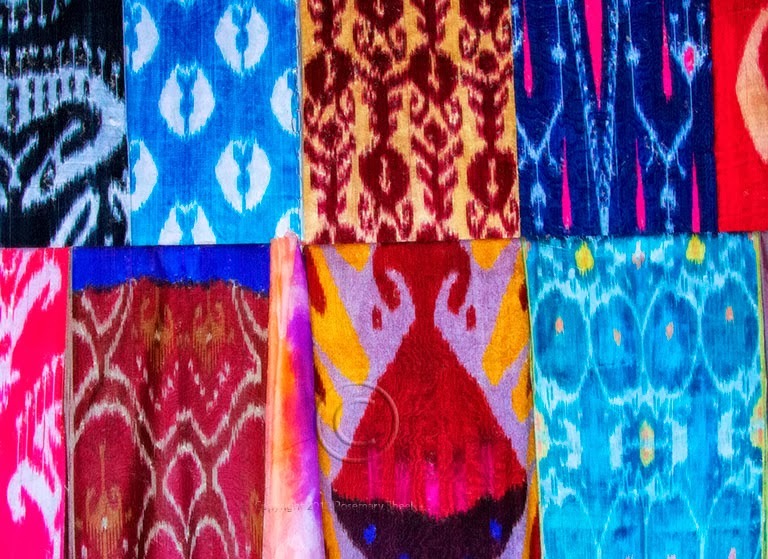 The variety of colours and the infinite patterns of Uzbek ikat are astonishing. Today there is a revival in old patterns from the 19th century as well as ikat design in digitally-printed fabric.